No television birth was as hotly anticipated as the birth of Lucy and Ricky Ricardo's baby on I Love Lucy. There have been some other notable pregnancies and births on American network television. 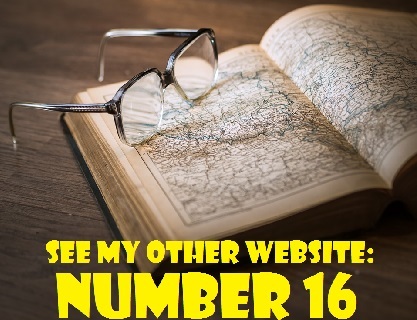 Let's look at some of them in addition to the birth of Little Ricky Ricardo. 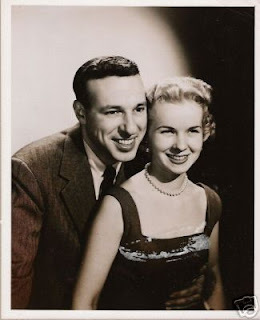 Before there was Lucille Ball and Desi Arnaz, there was Mary Kay and Johnny Stearns. This real-life married couple were the stars of American television's first situation comedy. Their show, Mary Kay and Johnny, aired from 1947 until 1950. It ended before I Love Lucy debuted in October of 1951. Mary Kay and Johnny began as a 15-minute program on the old DuMont network on November 18, 1947. The sitcom aired on DuMont until August of 1948. In subsequent years, however, it was broadcast on CBS and NBC. The Stearns played themselves in a domestic comedy about the lives of a newly married couple in New York. Johnny Stearns' character was employed at a bank and he and Mary Kay resided in a Greenwich Village apartment. The show was filmed live in front of a New York studio audience. Unfortunately, very little footage remains in existence. In December of 1948, the real Mary Kay Stearns gave birth to the couple's son, Christopher William Stearn. The child's birth was incorporated into the script and worked into an episode on the exact day that Mary Kay actually delivered the baby. Since the show was done live, Mary Kay had to be absent. An anxious Johnny, however, was shown pacing the floor. Their infant son, Chris, joined the cast less than one month after his birth. Johnny Stearns passed away on December 5, 2001 after complications from a fall. He was 85 years old at the time of his death in a Newport Beach, California hospital. Mary Kay Stearns, born October 27, 1925, is 87 years old. Chris Stearns is 64. In the spring of 1952, the hit comedy series I Love Lucy faced a crisis. It's real-life married stars, Lucille Ball and Desi Arnaz, were expecting their second child. What was the CBS network to do about Lucy's pregnancy? They were worried about offending viewers by showing a pregnant woman on screen despite the fact that Mary Kay and Johnny had dealt with a pregnancy in 1948. Network executives and the show's advertisers were squeamish about the matter. 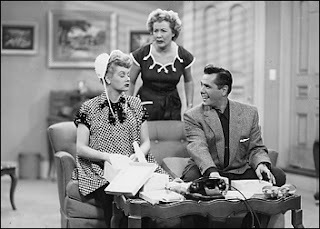 They were finally persuaded to approve the on-screen pregnancy of Lucy Ricardo although they remained adamant the word "pregnant" could not be uttered on the show. It never was. The word "expecting" was used instead. 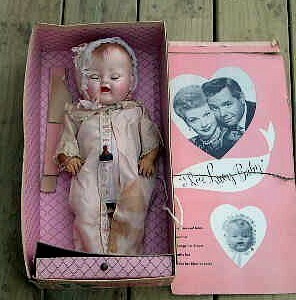 Pictured below is the I LOVE LUCY BABY.doll produced by American Character when Lucy's pregnancy was announced in 1952. The doll is very rare and is up for sale on eBay for $449.00 (U.S.). It is 41 cm. (16 inch). At the time the doll was manufactured, it was not known whether Lucy was having a boy or a girl. 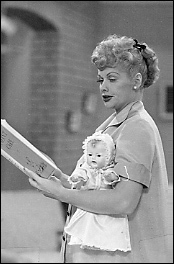 It was decided to produce a girl doll based on the doll Lucy is holding in the photo above from an episode called "Pregnant Women are Unpredictabe." (Season 2, Episode 16, December 15, 1952). In case you were wondering, the word "pregnant" was used because the show never displayed episode titles on air. Wilma Flintstone was the first character to be portrayed as pregnant on a regular animated television show. In Season 3 of The Flintstones, Wilma becomes pregnant and gives birth to a daughter. Pebbles Flintstone was born on an episode of the series entitled "The Blessed Event". It was aired on Feb. 22, 1963 (Hey, that means that Pebbles Flintstone is almost 50 years old unless you consider that she was born in the Stone Age). 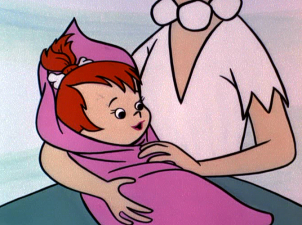 Wilma was depicted as pregnant in several several episodes during Season 3 leading up to the birth of Pebbles. There was even a "hospital rehearsal" storyline similar to the one on I Love Lucy. Although the word "pregnancy" was never mentioned on the show, although Wilma was shown wearing a maternity outfit. She was under the care of Dr. Rockpile. To view the episode "The Blessed Event," click on the link below. You will see Wilma's maternity clothes. Joey Stivic, the grandson of Archie Bunker (Carroll O'Connor) and his wife Edith (Jean Stapleton), was born during All in the Family's sixth season. The character was first shown as a newborn baby in a two part episode of the series entitled "Birth of the Baby: Part 1" and "Birth of the Baby: Part 2" which aired on December 8 and December 15, 1975. Joey was portrayed by alternating twins, Jason and Justin Draeger. Little Joey was a source of conflict even before his birth. In an episode entitled "The Little Atheist" (Season 6 Episode 11, Air Date: November 24, 1975), his parents (Archie and Edith's daughter Gloria (Sally Struthers) and her liberal husband, Mike "Meathead" Stivic (Rob Reiner) clash with Archie on Thanksgiving over the unborn child's religion. Archie wants his grandchild to baptized and raised a Christian while Mike and Gloria want the child to make his or her choice about the matter. Several episodes dealt with Gloria's pregnancy. For example, in "Mike Faces Life" (Season 6, Episode 7, Air Date: October 27, 1975), Gloria is laid off from her department store sales job. Both she and Mike suspect she has been discriminated against due to her pregnancy. In another episode, "Gloria Suspects Mike" (Season 6, Episode 10, November 17, 1975), Gloria, who is seven moths pregnant, feels unattractive and fears that Mike is cheating on her with the young woman he is tutoring. After getting stuck in a telephone booth while dining with Mike at an Italian restaurant, Gloria goes into labour. The couple gets stuck in traffic on the way to the hospital where their baby boy is born. They name the baby Joseph Michael Stivic. Believe it or not, there was even a Joey Stivic doll which attracted quite a great deal of attention because it was "anatomically correct." The doll's box is pictured below. In the final episode of the fourth season of Murphy Brown, television reporter Murphy Brown (Candace Bergen) gave birth to a son named Avery. Murphy's unwed pregnancy really rankled then-Vice President Dan Quayle. In May of 1992, during the presidential election campaign, Quayle made a speech in San Francisco linking the fictional TV anchor with the recent Rodney King Riots in Los Angeles. He argued that the riots were partially caused by a "poverty of values" including the acceptance and celebration of unwed motherhood on popular television shows such as Murphy Brown. The vice president's remarks sparked a great deal of controversy and debate.throughout the summer of 1992. When Murphy Brown returned in the fall, the ratings for its season opener were sky high. In the 60-minute episode entitled "You Say Potatoe, I Say Potato" (a reference to Quayle's misspelling of the word), a clip from the speech was shown. Displaying a sense of humour, Quayle later sent the fictional baby Avery a toy elephant.